Where is Stanley Kubrick when we need him? If he hadn’t died in 1999, he would be the perfect director to transform today’s hysteria over Russia into a theater-of-the-absurd movie reprising his Cold War classic, “Dr. Strangelove,” which savagely satirized the madness of nuclear brinksmanship and the crazed ideology behind it. to its target in the Soviet Union. To prove my point, The Washington Post on Thursday published a lengthy story entitled in the print editions “Alarm at Russian in White House” about a Russian photographer who was allowed into the Oval Office to photograph President Trump’s meeting with Russian Foreign Minister Sergey Lavrov. To bolster this alarm, the Post cited a Twitter comment from President Obama’s last deputy CIA director, David S. Cohen, stating “No, it was not” a sound decision to admit the Russian photographer who also works for the Russian news agency, Tass, which published the photo. One could picture Boris and Natasha, the evil spies in the Bullwinkle cartoons, disguised as photographers slipping listening devices between the cushions of the sofas. 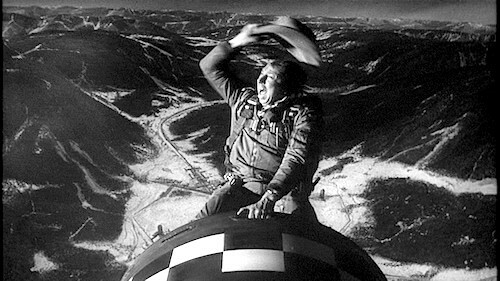 Or we could hear how Russians are again threatening to “impurify all of our precious bodily fluids,” as “Dr. Strangelove” character, Gen. Jack D. Ripper, warned us in the 1964 movie. Watching that brilliant dark comedy again might actually be a good idea to remind us how crazy Americans can get when they’re pumped up with anti-Russian propaganda, as is happening again now. I realize that many Democrats, liberals and progressives hate Donald Trump so much that they believe that any pretext is justified in taking him down, even if that plays into the hands of the neoconservatives and other warmongers. Many people who detest Trump view Russia-gate as the most likely path to achieve Trump’s impeachment, so this desirable end justifies whatever means. 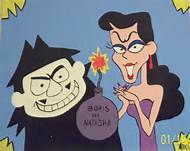 Boris and Natasha, the evil spies from the Rocky and Bullwinkle shows. The argument is that it sometimes falls to these Establishment institutions to “correct” a mistake made by the American voters, in this case, the election of a largely unqualified individual as U.S. president. It is even viewed by some anti-Trump activists as a responsibility of “responsible” journalists, government officials and others to play this “guardian” role, to not simply “resist” Trump but to remove him. There are obvious counter-arguments to this view, particularly that it makes something of a sham of American democracy. 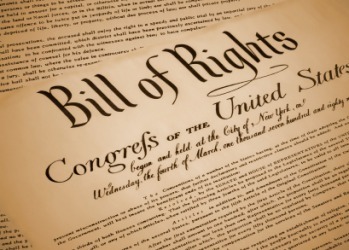 It also imposes on journalists a need to violate the ethical responsibility to provide objective reporting, not taking sides in political disputes. 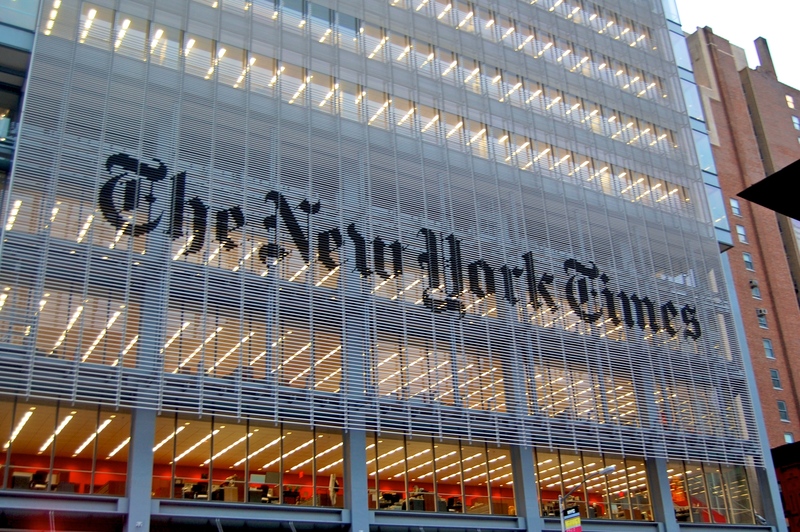 But The New York Times and The Washington Post, in particular, have made it clear that they view Trump as a clear and present danger to the American system and thus have cast aside any pretense of neutrality. But the obvious problem with a “soft coup” is that America’s democratic process, as imperfect as it has been and still is, has held this diverse country together since 1788 with the notable exception of the Civil War. 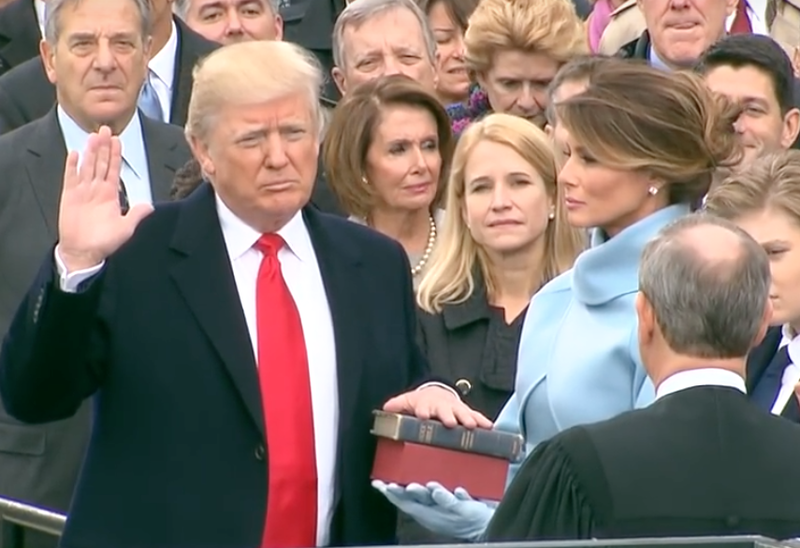 If Americans believe that the Washington elites are removing an elected president – even one as buffoonish as Donald Trump – it could tear apart the fabric of national unity, which is already under extraordinary stress from intense partisanship. That means that the “soft coup” would have to be carried out under the guise of a serious investigation into something grave enough to justify the President’s removal, a removal that could be accomplished by congressional impeachment, his forced resignation, or the application of Twenty-fifth Amendment, which allows the Vice President and a majority of the Cabinet to judge a President incapable of continuing in office (although that could require two-thirds votes by both houses of Congress if the President fights the maneuver). That is where Russia-gate comes in. The gauzy allegation that Trump and/or his advisers somehow colluded with Russian intelligence officials to rig the 2016 election would probably clear the threshold for an extreme action like removing a President. And, given the determination of many key figures in the Establishment to get rid of Trump, it should come as no surprise that no one seems to care that no actual government-verified evidence has been revealed publicly to support any of the Russia-gate allegations. There’s not even any public evidence from U.S. government agencies that Russia did “meddle” in the 2016 election or – even if Russia did slip Democratic emails to WikiLeaks (which WikiLeaks denies) – there has been zero evidence that the scheme resulted from collusion with Trump’s campaign. 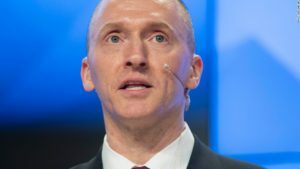 The FBI has been investigating these suspicions for at least nine months, even reportedly securing a Foreign Intelligence Surveillance Act warrant against Carter Page, an American whom Trump briefly claimed as a foreign policy adviser when Trump was under fire for not having any foreign policy advisers. One of Page’s alleged offenses was that he gave a speech to an academic conference in Moscow in July 2016 that was mildly critical of how the U.S. treated countries from the former Soviet Union. He also once lived in Russia and met with a Russian diplomat who – apparently unbeknownst to Page – had been identified by the U.S. government as a Russian intelligence officer. It appears that is enough, in these days of our New McCarthyism, to get an American put under a powerful counter-intelligence investigation. The FBI and the Department of Justice also reportedly are including as part of the Russia-gate investigation Trump’s stupid campaign joke calling on the Russians to help find the tens of thousands of emails that Hillary Clinton erased from the home server that she used while Secretary of State. The comment fit with Trump’s puckish, provocative and often tasteless sense of humor, but was seized on by Democrats as if it were a serious suggestion – as if anyone would use a press conference to seriously urge something like that. But it now appears that the FBI is grabbing at any straw that might support its investigation. The (U.K.) Guardian reported this week that “Senior DoJ officials have declined to release the documents [about Trump’s comment] on grounds that such disclosure could ‘interfere with enforcement proceedings’. In a filing to a federal court in Washington DC, the DoJ states that ‘because of the existence of an active, ongoing investigation, the FBI anticipates that it will … withhold all records’. On Friday, in the wake of Trump’s firing of FBI Director James Comey and the President’s characterization of Russia-gate as “a total hoax,” The New York Times reprised what it called “The Trump-Russia Nexus” in a lead editorial trying to make the case of some fire behind the smoke. 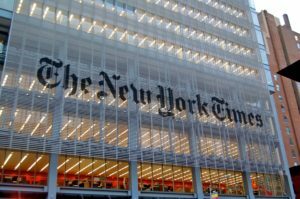 Though the Times acknowledges that there are “many unknowns” in Russia-gate and the Times can’t seem to find any evidence of collusion, such as slipping a Russian data stick to WikiLeaks, the Times nevertheless treats a host of Trump advisers and family members as traitors because they’ve had some association with Russian officials, Russian businesses or Russian allies. You might want to let some of those words sink in, especially the part about Page giving “a pro-Russia speech in Moscow,” which has been cited as one of the principal reasons for Page and his communications being targeted under a FISA warrant. I’ve actually read Page’s speech and to call it “pro-Russia” is a wild exaggeration. It was a largely academic treatise that faulted the West’s post-Cold War treatment of the nations formed from the old Soviet Union, saying the rush to a free-market system led to some negative consequences, such as the spread of corruption. But even if the speech were “pro-Russia,” doesn’t The New York Times respect the quaint American notion of free speech? Apparently not. If your carefully crafted words can be twisted into something called “pro-Russia,” the Times seems to think it’s okay to have the National Security Agency bug your phones and read your emails. Left out of that Times formulation is the fact that the Ukrainian political party, which had strong backing from ethnic Russian Ukrainians — not just Russia– competed in a democratic process and that Yanukovych won an election that was recognized by international observers as free and fair. Yanukovych was then ousted in February 2014 in a violent putsch that was backed by U.S. Assistant Secretary of State Victoria Nuland and U.S. Ambassador Geoffrey Pyatt. 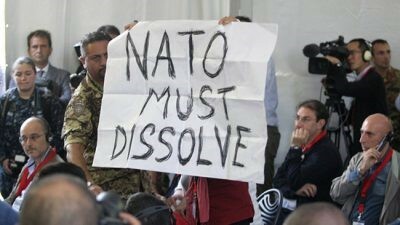 The putsch, which was spearheaded by right-wing nationalists and even neo-Nazis, touched off Ukraine’s civil war and the secession of Crimea, the key events in the escalation of today’s New Cold War between NATO and Russia. Though I’m no fan of U.S. political hired-guns selling their services in foreign elections, there was nothing illegal or even unusual about Manafort advising a Ukrainian political party. What arguably was much more offensive was the U.S. support for an unconstitutional coup that removed Yanukovych even after he agreed to a European plan for early elections so he could be voted out of office peacefully. But the Times, the Post and virtually the entire Western mainstream media sided with the Ukrainian coup-makers and hailed Yanukovych’s overthrow. That attitude has become such a groupthink that the Times has banished the thought that there was a coup. Still, the larger political problem confronting the United States is that the neoconservatives and their junior partners, the liberal interventionists, now control nearly all the levers of U.S. foreign policy. That means they can essentially dictate how events around the world will be perceived by most Americans. The neocons and the liberal hawks also want to continue their open-ended wars in the Middle East by arranging the commitment of additional U.S. military forces to Afghanistan, Iraq and Syria – and perhaps a new confrontation with Iran. Early in Obama’s second term, it became clear to the neocons that Russia was becoming the chief obstacles to their plans because President Barack Obama was working closely with President Vladimir Putin on a variety of projects that undermined neocon hopes for more war. Particularly, Putin helped Obama secure an agreement from Syria to surrender its chemical weapons stockpiles in 2013 and to get Iran to accept tight constraints on its nuclear program in 2014. In both cases, the neocons and their liberal-hawk sidekicks were lusting for war. 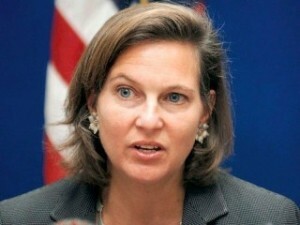 Immediately after the Syria chemical-weapons deal in September 2013, key U.S. neocons began focusing on Ukraine as what National Endowment for Democracy president Carl Gershman called “the biggest prize” and a first step toward unseating Putin in Moscow. Gershman’s grant-giving NED stepped up its operations inside Ukraine while Assistant Secretary Nuland, the wife of arch-neocon Robert Kagan, began pushing for regime change in Kiev (along with other neocons, including Sen. John McCain). The Ukraine coup in 2014 drove a geopolitical wedge between Obama and Putin, since the Russian president couldn’t just stand by when a virulently anti-Russian regime took power violently in Ukraine, which was the well-worn route for invasions into Russia and housed Russia’s Black Sea fleet at Sevastopol in Crimea. Rather than defend the valuable cooperation provided by Putin, Obama went with the political flow and joined in the Russia-bashing as key neocons raised their sights and put Putin in the crosshairs. For the neocons in 2016, there also was the excited expectation of a Hillary Clintonpresidency to give more momentum to the expensive New Cold War. But then Trump, who had argued for a new détente with Russia, managed to eke out an Electoral College win. Perhaps Trump could have diffused some of the hostility toward him but his narcissistic personality stopped him from extending an olive branch to the tens of millions of Americans who opposed him. He further demonstrated his political incompetence by wasting his first days in office making ridiculous claims about the size of his inaugural crowds and disputing the fact that he had lost the popular vote. Widespread public disgust over his behavior contributed to the determination of many Americans to “resist” his presidency at all junctures and at all costs. 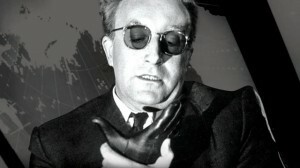 Peter Sellers playing Dr. Strangelove as he struggles to control his right arm from making a Nazi salute. Russia-gate, the hazy suggestion that Putin put Trump in the White House and that Trump is a Putin “puppet” (as Clinton claimed), became the principal weapon to use in destroying Trump’s presidency. However, besides the risks to U.S. stability that would come from an Establishment-driven “soft coup,” there is the additional danger of ratcheting up tensions so high with nuclear-armed Russia that this extreme Russia-bashing takes on a life – or arguably many, many deaths – of its own. The contents of Rise Up Times do not necessarily reflect the opinions of the editor.